We don’t usually have the time to sit down and review a product, but every so often something comes our way that deserves the attention. All of our wedding clients know how much we despise leaving your beautiful wedding photos on a DVD, which is why we insist every couple lay hands on one of our hand crafted wedding albums. Most of the time, clients bite and buy an album. However, some of the more crafty brides want to take on that process, which is fine, but we feel guilty handing over a disc and nothing else, which is why most of our packages come with a free canvas. So, we’ve used a wide variety of canvas suppliers, but none of them have been exemplary. I’ve had lots of success with the likes of Canvas People, Canvas on Demand and PicaNova, but each one of them has required a reprint due to quality control or color issues. We’re well versed in the realm of color profiles and PPI, so its always been printer error. Fortunately, each issue we’ve had with the said companies has been resolved, but its tacky and costs us our time. Having used CG Pro Prints for several months now, its been a pleasant experience. 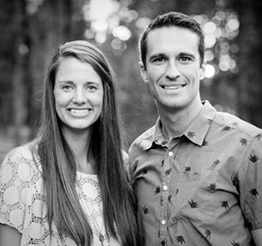 Located in Longmont Colorado, they are local to us, which helps cut down on shipping times. But, that isn’t reason enough write home about. 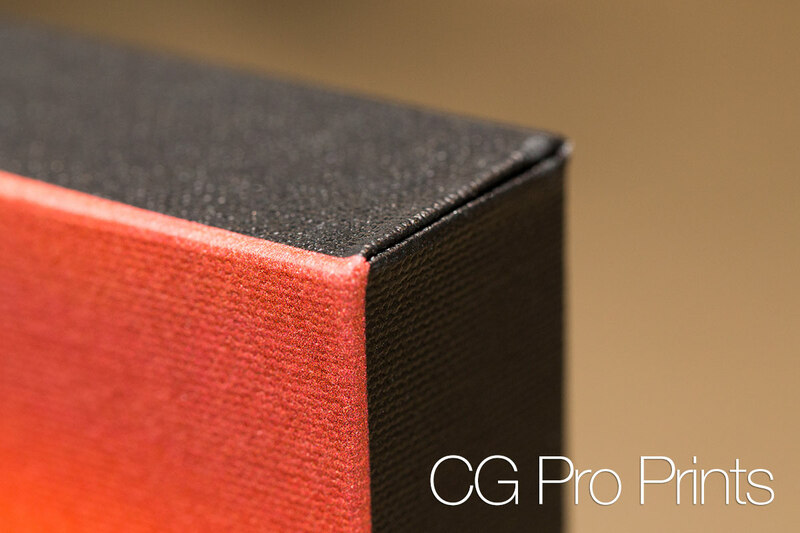 We’re concerned about quality and nothing else, which is why we took the time to write a CG Pro Prints Canvas Review. In the example photos below you can see how crisp and clean the edges of the CG Pro Prints canvas print are in comparison to the Canvas People print. I took these photos with a long focal length to reduce distortion, but even at a distance of 6 feet, its easy to see where the Canvas People print dips. This is due to canvas being to tightly stretched on a weak frame with no backing. The bowing or dip effect will only get worse with time as the wooden frame weakens. Inspecting the CG Pro Prints sample, the lines are about as straight as you can get without detailed measurements. 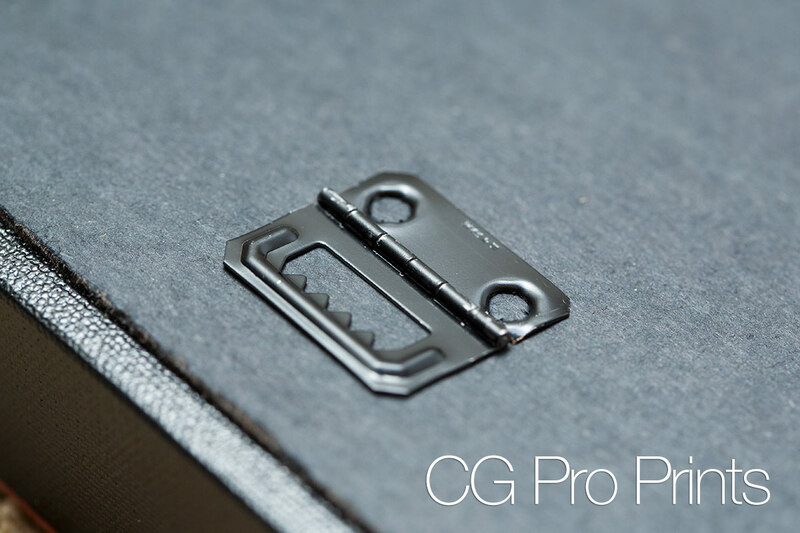 I also expect the CG Pro Prints to retain this perfectly square shape for some time due in part because of the quality framing material, but more because of the heavy backing. One of the biggest reasons for writing this review is because of the amount of issues I’ve had with their gallery wraps. Zero. I don’t have to worry about them applying some odd color correction profile or using a different color profile. Because its a non-issue, I can send prints directly to clients, eliminating on time and shipping costs. Their canvases are UV coated to reduce fading and scratching, but that is pretty standard now. You can find more details on their Canvas Features page. 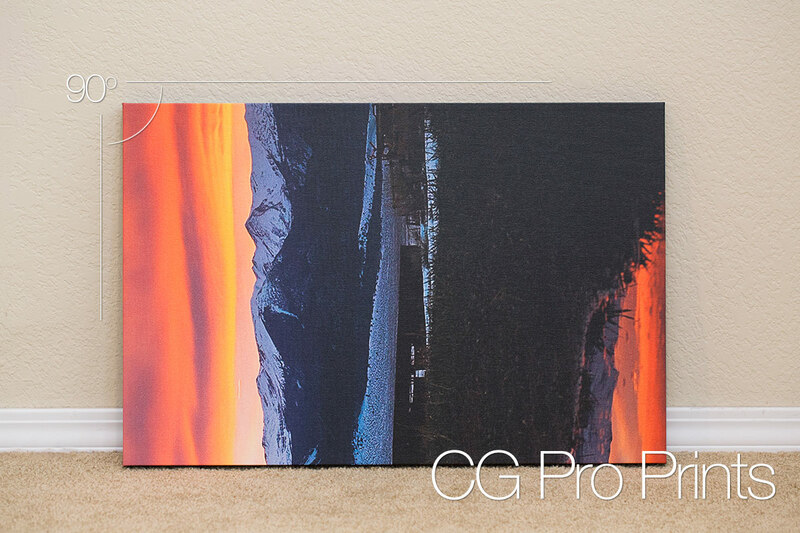 CG Pro Prints produces some of the tightest wrapped corners I’ve seen on a canvas print. While I’m no professional myself, I can usually get a cleaner corner than Canvas People, but there is a vast difference between mine and CG Pro Print’s. Most likely their canvas wrapping machine has been tweaked and fine tuned to very strict standards. I won’t waste your time here. The included picture hanging hardware is a nice touch. It comes already mounted, and not just thrown in the box for you to center and pound in. They currently only offer 1 ¼” depth on their canvas frames. While I find this to be a great size, they don’t have the option to go thinner or thicker. When building custom frames, sometimes its nice to have those options. If you’re hanging it on the wall, you can’t go wrong with their thickness. You’ll have a hard time finding a canvas print supplier that competes with CG Pro Prints in regard to price and quality. Having been clients of theirs for several months now, we’ve had zero issues and a bunch of beautiful prints made. Their gallery wrap frames are solid. The print quality is spot on. Their customer service has been prompt and professional. They are a step above your larger suppliers like Canvas People and Canvas on Demand. Hi, I was wondering if you are still using CGPro Prints for canvases and if you’re satisfied with the quality? Thanks for your time! We use them regularly. 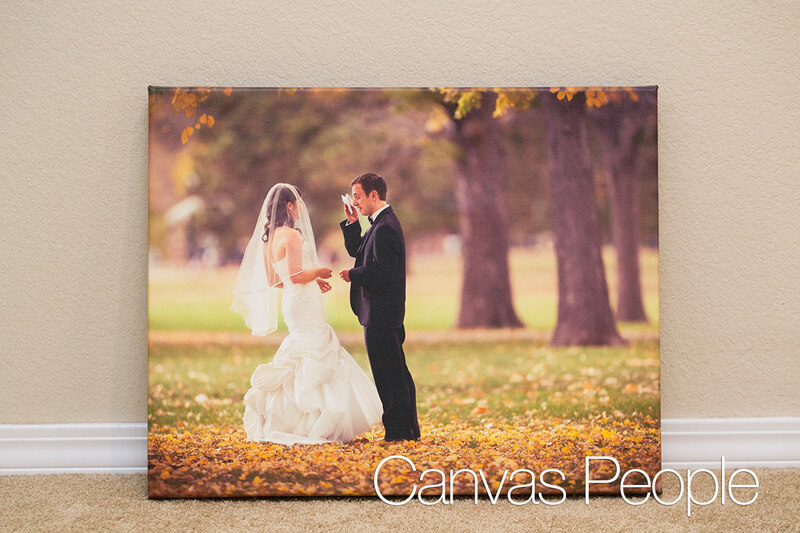 Just submitted a canvas order with them on Monday and it was delivered today. So far we’ve had no issues. Hi, I’m wondering if you have tried CGPro for Metal Prints and if so how the quality is for those. I’ve been very happy with their canvas, just haven’t yet tried the metal prints. We have not tried CGPro for metal. We’ve used ProDPI for metal in the past and have always been impressed. Maybe we will try it in the future and touch back here. Let us know too! I tried to do business with CG Pro and nothing worked. An image arrived from them washed out and the colors and intensity not what I had sent. I immediately contacted “Brian” who was great, promised fast service and everything would be taken care of. I communicated the slight delay to my customer and promised a quick turnaround per Brian. It’s now been three weeks and I don’t even have a second image for my customer. My customer has now canceled their order with me and I doubt they’ll be back. Huge disappointment – all CG Pro communications speak to a 3 business day turnaround and it’s now been 3 weeks and I don’t have anything except a bad image with my customers. Somehow I got the impression that CGPro was the same entity as Canvas On Demand— not true? My canvas saga. Creds: I shot semi-professionally for many years and published hundreds of images. I’ve more or less retired from photography as an income source, but in the last few years have been turning my professional office into a gallery of my work. I have hung about 50-60 canvases in sizes up to 24×36″, from about four different printers. Most (the great majority) were from Canvas On Demand (couldn’t resist the frequent deals that COD offered via Groupon). I have never had any issues re/ color fidelity or any other right-out-of-the-box issues. Shipped promptly. Recently just placed my first order for some premium wrapped canvases with CGPro, which appears to have the same glued-down anatomy as the COD prints. Anyone here run into glue failure problems with CGPro? Obviously one way to avoid the problem entirely is to just go with a stretched canvas product, no backing. 1. COD and CGProPrints are, in fact, a single printing entity. 2. The “premium canvas” product from both companies is exactly the same— both outfits make their prints on the same equipment, using the same canvas, same ink, etc. Also—same 2-year warranty. 3. CGProPrints offers a few items that COD does not, e.g., metal prints. 4. Pricing and sale promotions differ. Hopefully others here will find this info useful.